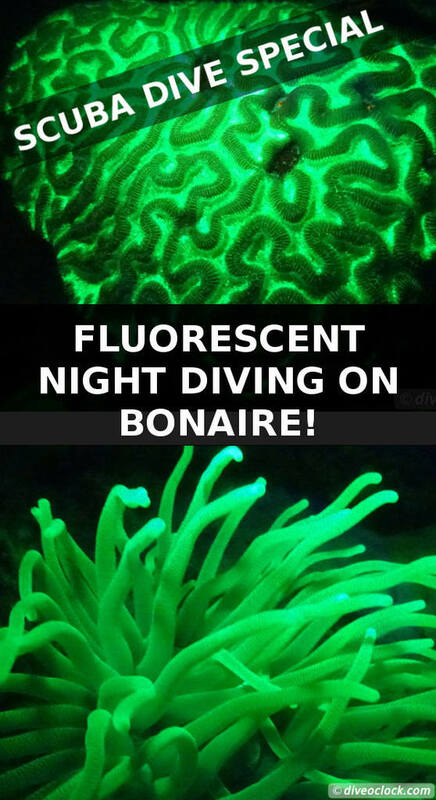 Fluorescent Night Diving on Bonaire - Must Do! - Dive o'clock! 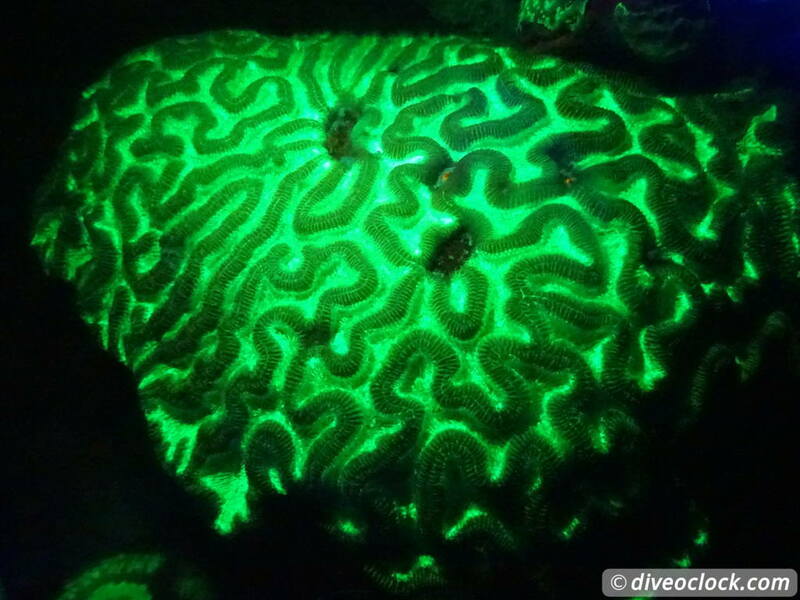 Fluorescent boulder brain coral on Bonaire. Imagine yourself diving in a psychedelic rave party underwater. 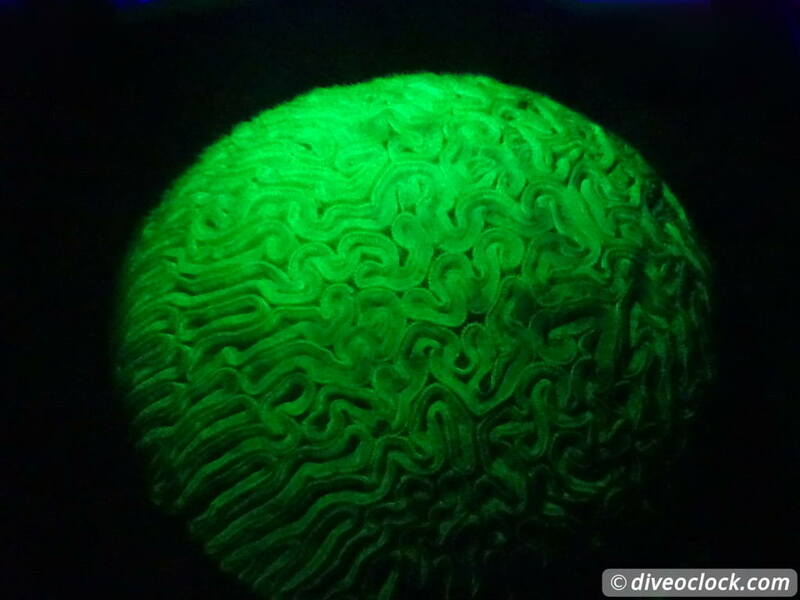 Searching for fluorescent critters and mind-blowing corals! 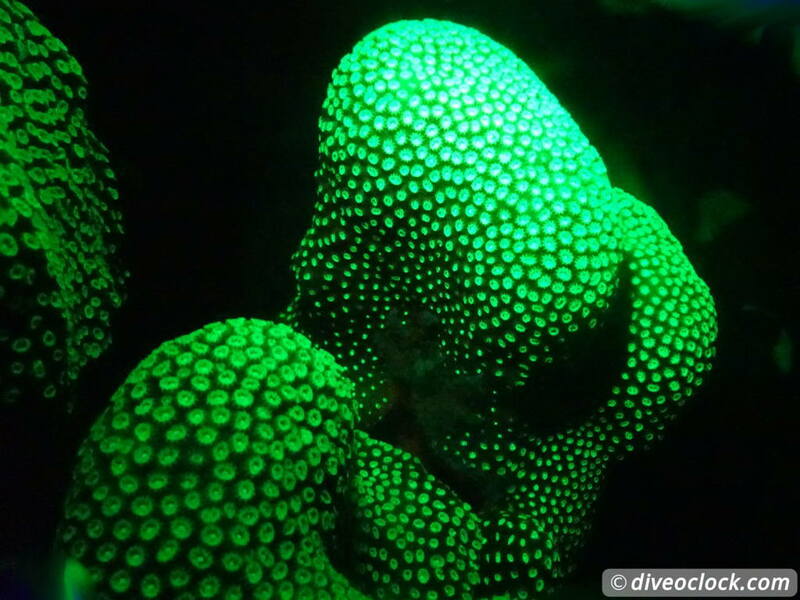 UV night diving explained + simple photography tips. 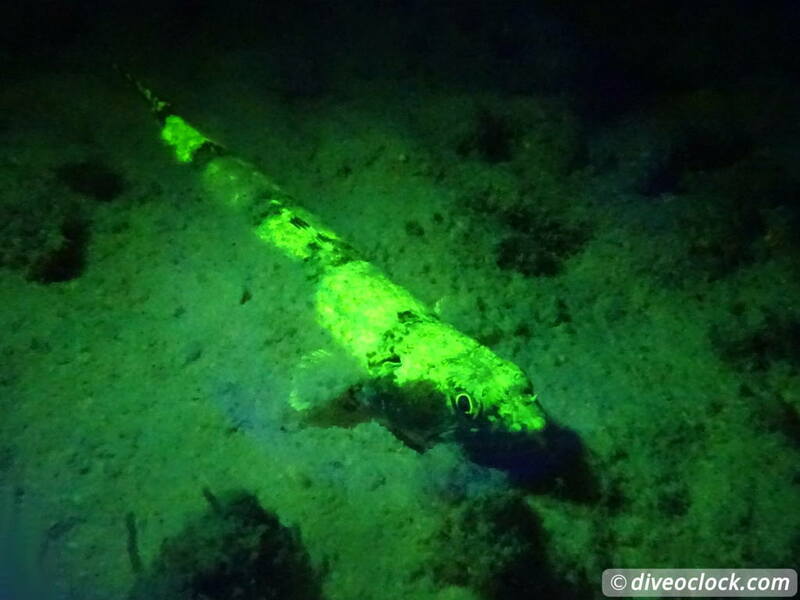 Actually I only found out about the existence of fluorescent night diving when I was searching information about the Ostracod dive on Bonaire. While the Ostracod dive is done in complete darkness and without special equipment UV night diving is something different. 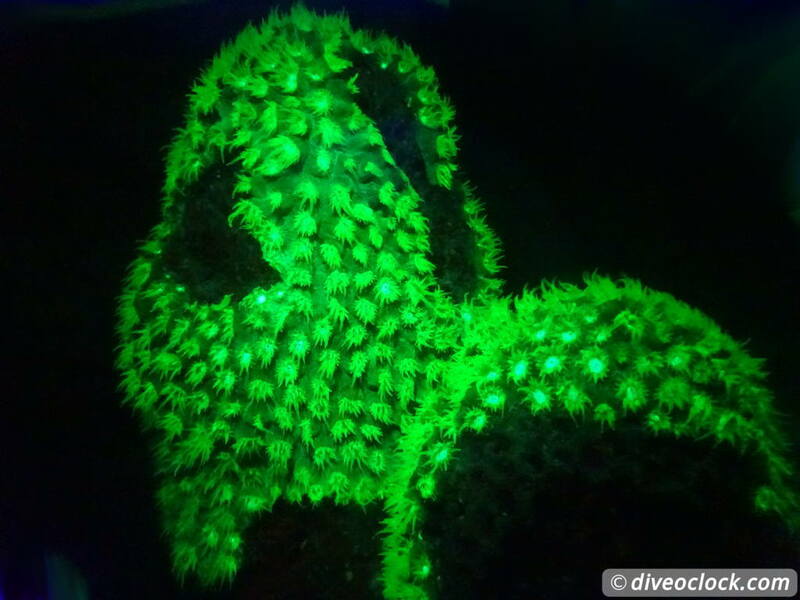 UV night diving is a new style of night diving and apparently it is becoming increasingly popular around the world. More and more dive centers start offering these psychedelic dives but mind you: Not all locations are really suitable because not all marine life reacts to this special light. When contacting Dive Friends Bonaire I was eager to jump in the water for my first UV night dive! Although you can rent the equipment to dive by yourself I thought it would be more fun and interesting doing this trip with an experienced UV night dive guide. Blue dive lights and yellow visors for our fluorescent dive! 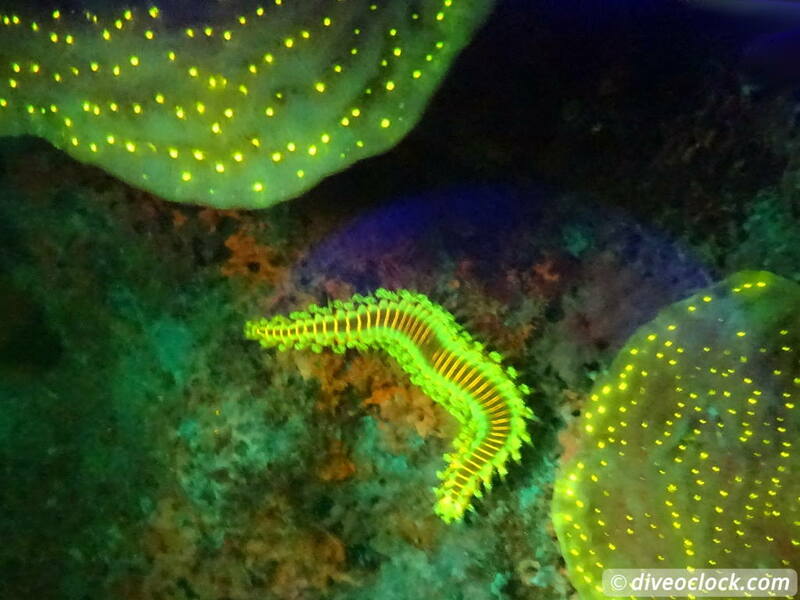 (Fluorescent bearded fireworm and anemone). Price Guided shore night dive with UV light $73,- + equipment rental one day $42,- (no computer), tank + weights $18,50. Discounts apply on gear rental and multiple day tank rental. Have you ever been to a place with black light? In a bar, club, for a night (glow) run or maybe in an escape room? Suddenly all the white clothes lights up. What happens is the washing detergent on the clothes converts (the invisible to humans) UV light into something we can see, a lower wavelength. 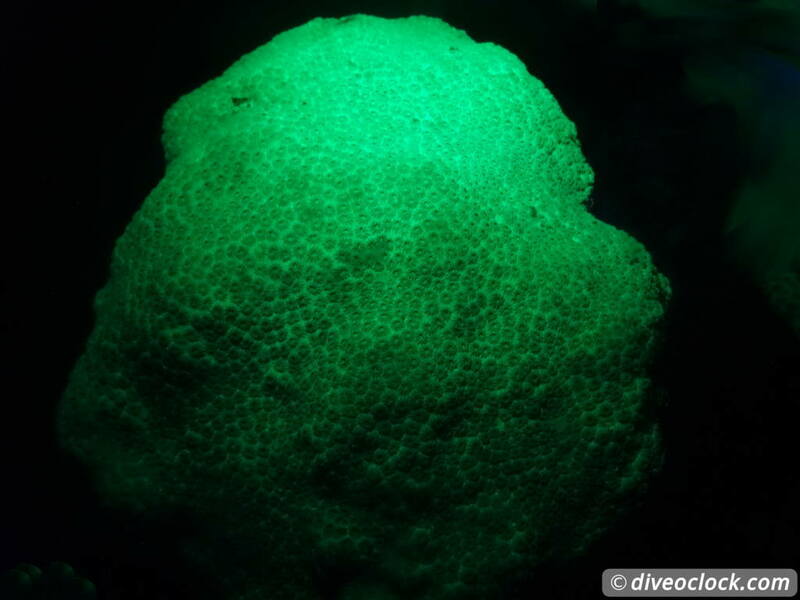 More or less the same things happens underwater when UV night diving. Various marine species absorb UV light and emit it with a different wave length which we can see. The effect is that it looks like they are producing light. On Bonaire about 25% of the marine life species are fluorescent, meaning the rest of the species do not 'light-up' with the special light. 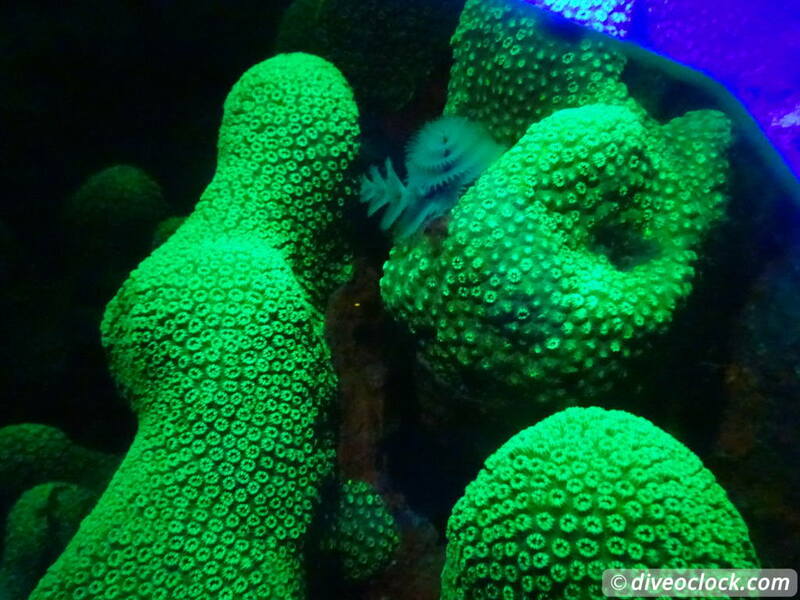 Real UV light for diving is expensive at the moment. 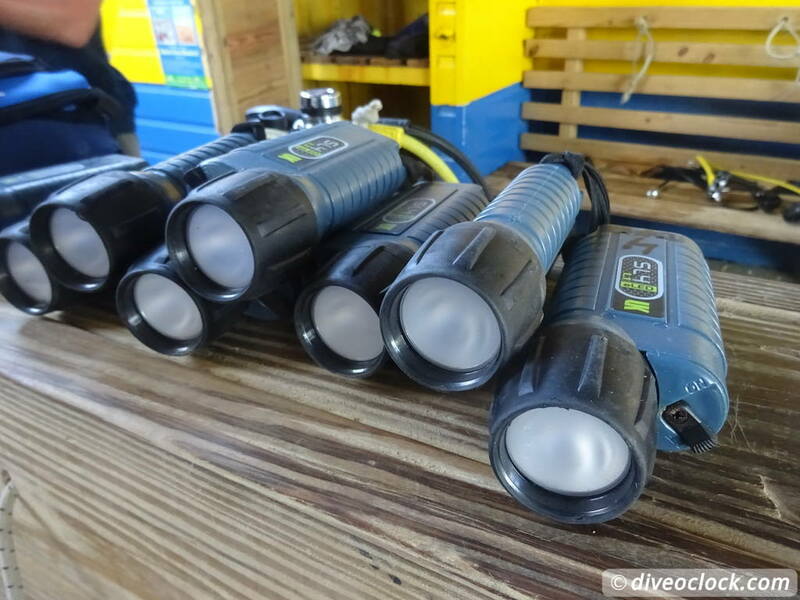 That is why dive centers buy high-frequency blue light to get the same effect. 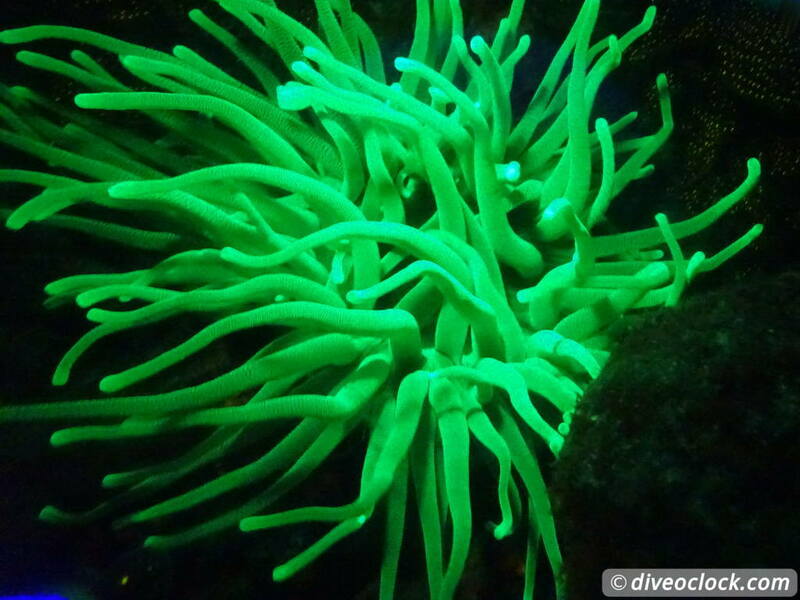 With the blue light, instead of UV light, you also need a yellow filter to see the fluorescence. A special yellow mask filter can be used on top of your own mask to see this psychedelic show underwater. Neon colors are all around you while the rest of the sea is dark. This is definitely a dive experience you should try! 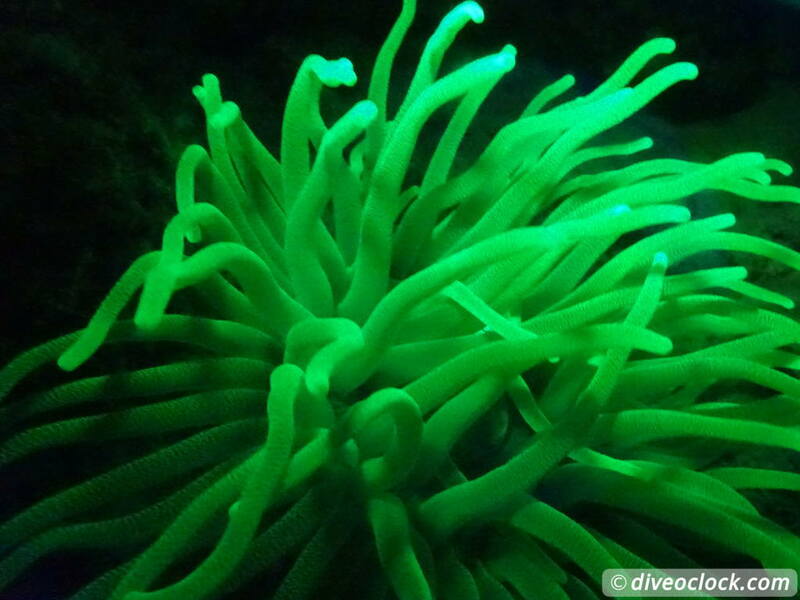 Taking photos while fluorescent night diving is not recommended for a single dive as it is very difficult. It might be a waste of your dive time unless you are an underwater photography professional or experienced with these kind of techniques and camera settings. As mentioned above, the only thing you really need for fluorescent underwater photos are a blue light and a yellow filter for your camera lens (housing). So I thought I should give it a try anyway. Here on Bonaire I asked several dive centers and photo shops about buying or renting some sort of universal add-on yellow filter for my underwater camera. There was nothing like this available. I even thought about getting a transparent yellow plastic sheet and cut a circle to fit inside my camera housing. The ones we used for overhead projectors (yes, I am that old! :)). Unfortunately I did not find any. How I did it? 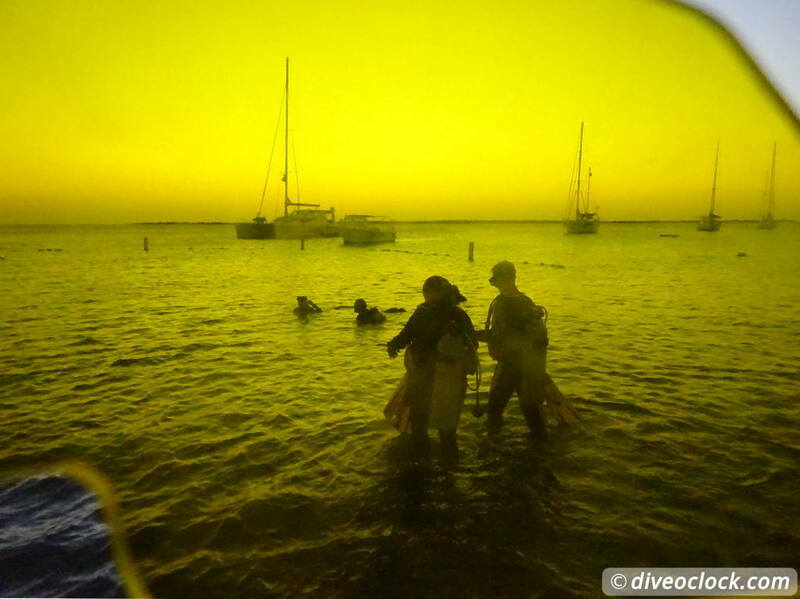 Our well-prepared dive guide from Dive Friends Bonaire brought a few extra yellow mask filter and blue lights. Luckily I could borrow a yellow mask filter for my camera as I saw another buddy team came up with this - how smart! It was a bit of a struggle attaching the long eye-shaped mask to the round lens of my housing (note that half of the lens was sticking out) but it worked better than expected. As you can see on the yellow photo above the edges where the mask filter did not cover my lens were 'normal'. This gave bright blue edges/blur on the underwater photo as you can see on one of the photos below. Because there is space in between the lens, the housing and the filter some photos came out with a blue reflection of the focusing ring. 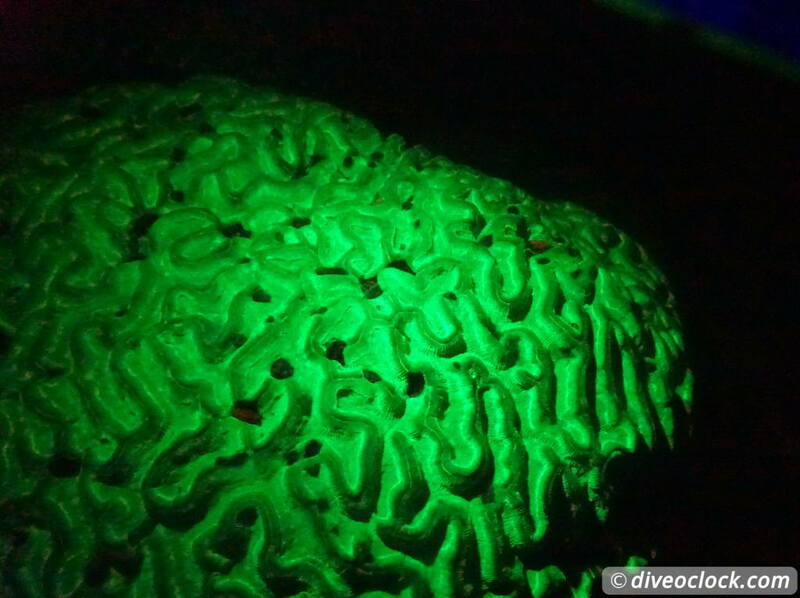 The video footage came out a lot sharper and the UV night diving experience is better displayed. The only thing is that I am not experienced in filming underwater at all. So I am making all the beginners errors here, shaking and turning way too fast. 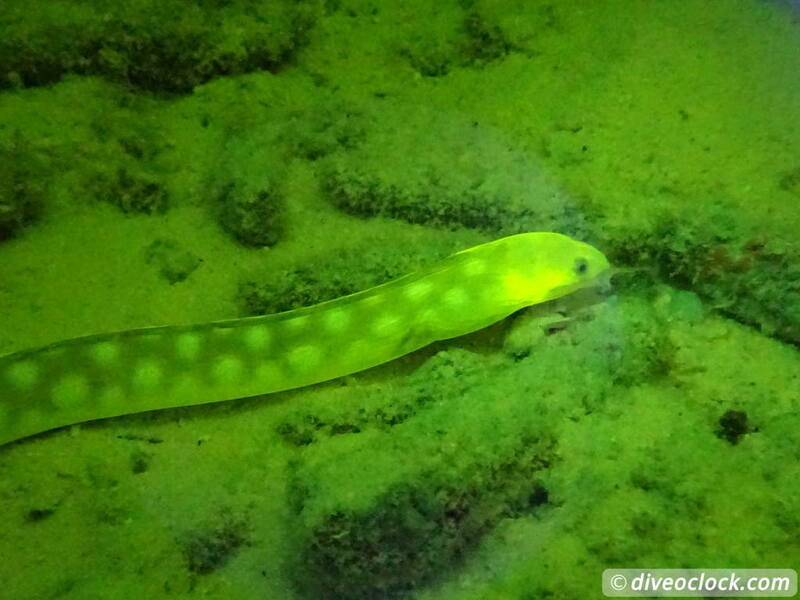 But I guess you get the idea of UV night diving here and the amount of darkness around the fluorescent marine life. Camera settings: Since my Sony Cybershot DCS-WX350 (small compact camera) does not allow me to set the shutter speed or aperture I only manually adjusted the ISO to 3200 and turned off the flash (the blue light I used as a strobe). The rest: Easy auto mode, my favourite setting as I am not that interested in (the technical part of) photography yet. Most sharp photos were taken with a minimal shutter speed and a aperture of F/8 - F/11. 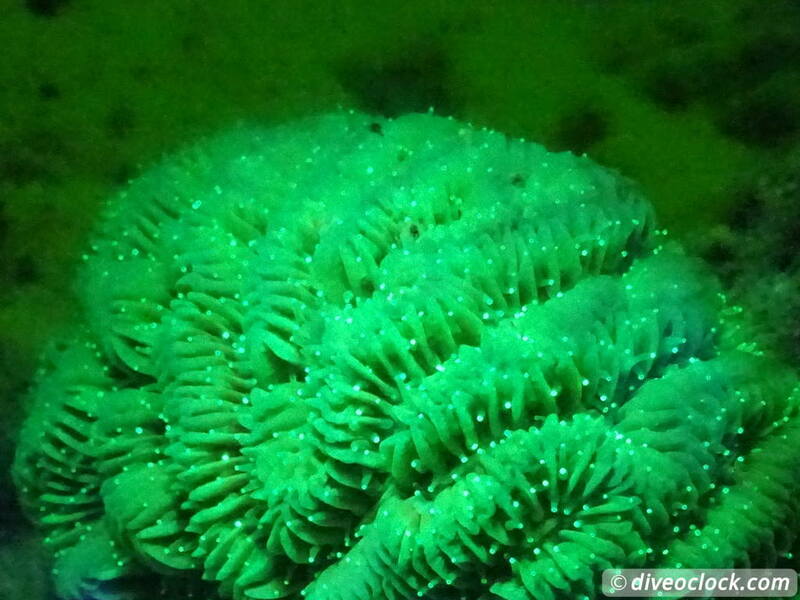 Online you can find lot specific information about camera settings for fluo night diving with blue as well as UV light. 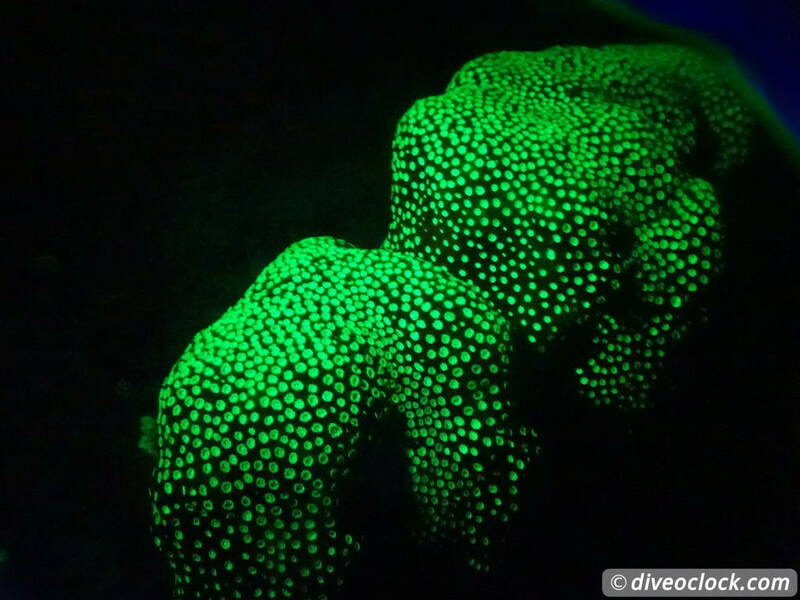 Fluorescent night diving was absolutely stunning! Just like a neon scene from the movie Avatar. What a great experience, really something you should try once in your lifetime. Highly recommended! If you have never done a normal night dive before I would recommend you to do this first, especially if you are a bit anxious or less experienced. The blue light does not give the same brightness as a normal white light so you will see less of what is happening around you. Here on Bonaire the tarpons (fish who can grow over 2 meters) like to hunt in your dive light. Be prepared for a huge fish up-close at a certain point during your dive. Things to do, restaurant and bar recommendations, cultural experiences and a lot of useful travel tips for your holiday! Read it here on my travel blog Crazy Dutch Abroad.